A heartbreakingly funny adventure about love, friendship, and loyalty. From the Amazon bestselling author and critically-acclaimed songwriter who has been entertaining audiences with his words for more than 20 years. I will be the first to admit that I am not a big ficton reader. I have indulged in the occasional Louis L'Amour western and have taken a liking to works by Nicolas Evans. This book, Burning Man, was written by Chris DiCroce, and after reading his previous two non-fiction books related to sailing, Gotta GO To Know and What's up Ditch I just had to indulge. Chris' style of writing had me instantly drawn into the story. Initially taking place in Nashville and moving like a whirlwind from the quiet and desolate desert to third world tropical islands. A story about trust, friendship and loyalty and the lengths the characters go to honor that friendship and commitment. This book is fast paced, one you won't want to put down. 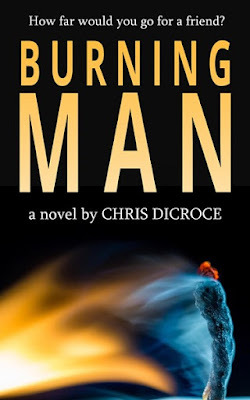 Chris is a talented writer and I am already looking forward to the Burning Man sequel. Honestly, I have to know the next chapter, where and how do their lives spin off. 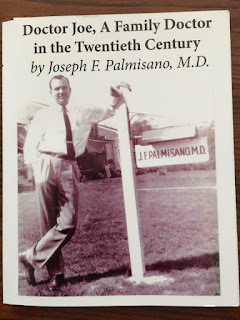 by: Joseph F. Palmisano, M.D. A little background on this book and its author. Since Mary and I have retired to Ocean City we have become accustomed to 'happy hour'. A group from where we live meets regularly, and while not everyone attends each get together we have a few regulars that enjoy each others company. This is where I met Doctor Joe. During our last meet up the discussion was WWII and a few of the battles, the battle of the bulge to be exact. I had mentioned that my uncle had fought in that battle and I remembered he always wore multiple shoes because of a problem with his feet, as a result of the cold. My recounting was sketchy at best since I remember that from such a young age. One thing lead to another and we talked about hometowns. Doctor Joe had mentioned Baltimore and then Shamokin, Pennsylvania. A coal cracker, I noted my entire family had settled in Wilkes-Barre, Pennsylvania. Joe mentioned writing a book about his family history and his life. I am always looking for something to read and this book was right up my alley. Doctor Joe autographed a copy and I tucked it away, eager to dig in once I got home. Doctor Joe started writing this book to document his family history and provide this info to future family members. Joe's son Michael encouraged him to also document his own life story and as a result the book took shape. The retracing of family history is an art, so many stories and so many branches to the family tree. Joe brings us back to Sicily and root of that tree. The writing keeps you wanting to dig deeper and know more. It was different times back then and I enjoyed his look back. Many of the stories took me back to growing up and listening to my Aunts and Uncles recounting their stories growing up during that same era. There were few stories shared about WWII, and what I did hear was second hand at best but they too related to what I was reading. Doctor Joe went on to document his early years in practice and the struggle to become established. I fondly remembered the days of doctors making house calls and knowing our family doctor as more of a friend of the family. It was both interesting and reassuring that the opposite side of the stethoscope felt the same way about their patients. Joe provided a passionate background on his family, his first wife, who had passed at an early age and his current bride. As Doctor Joe stated he worked hard and played hard. An avid skier and world traveler, his retracing of his adventures were detailed and exciting. It's been my pleasure to meet Joe and read about his family and his life story. An excellent book that takes you back to a simpler time, one that you'll just want to keep reading about. Where is he going with this post??? I was inspired after reading Adam B's post on Facebook documenting his first attempt to make flan. Well, I have to say I do love pie, cherry, blueberry, apple, pecan and the list goes on. Since it's just Mary and I we try to have some sort of dessert on occasion, her mom spoiled me. Since we both love watching cooking shows, we tend to try out new recipes when we can. Here is a 'hand pie' recipe that we both like and it's great for just the two of us in the scaled down version. You will also need an egg, it didn't want to be photographed. Ok, the process. Honest, it's as easy as pie. Ok bad joke but we are talking pie here. Cut the round sheet of dough into four equal pieces, easy enough so far. Take your favorite filling, today I selected peach. You can add a touch of nutmeg if you like but this filling is perfect as is. Don't overstuff! Make nice piles in the middle and move on to the next step. Carefully fold over the dough and lightly press it with your finger, you can dampen the edge with water if you like but it stays together on it's own. Next, close those hand pies with a fork. Make it nice and neat. Poke holes in the top to let that beautiful creation vent while cooking. This brings back memories of helping my mom close up her home made raviolis and stealing dough when I could. Take one egg and beat it, this will be used to coat the top of the pies so they cook up a golden brown. I also sprinkle sugar on top but that's up to each individual. The rest of the egg wash is cooked up for Ziva, she loves it. Finally, pop those bad boys in the oven for 15 minutes. Sit back and enjoy the fresh baked pie smells while your oven does its magic. When the timer goes off, give the pies a quick check to make sure they are indeed golden brown. If so, remove and let cool. It's been a crazy few days here at the beach. Mary is still up north, in Wilmington, and I am home with the zoo. As noted in my last post Mary is staying with her Brother Mark and his wife Lynn so she can help out when Mark has his back surgery. My bride is also loving on her great nephew Brennan as much as she can before she has to come home. Speaking of coming home...We decided since I had to fly north for a viewing, and weekend weather is calling for boomers, Mary would come home with me today. Mark is headed directly to rehab upon discharge from the hospital since his back surgery was so complicated. I'm sure we will be returning to help out in any way we can if Lynn needs us. Thankfully Mary called me this morning and got me out of bed at 7am. After feeding the zoo I had climbed back in bed and just passed out. I wanted to be in the air by 8:30 so my bride could meet me at 9:30 at flyADVANCED. I had completed a pre-flight on Monday and sumped fuel so 08Romeo was ready to go. When I opened up the hangar I did a quick walk around, loaded the sun screens and made sure my carry on case with a few tools, oil and cleaning supplies was on board. I was ready to go. 08Romeo came to life on just a blade or two, she was also ready to go. I did a final weather and NOTAM check before I taxied out. The runway of choice today is three-two which pretty much points me on my 357 degree course. It was hazy this morning, yes I got off on time, and the ride was smooth. Once trimmed out I sat with my hands in my lap just enjoying the view. Since I didn't file IFR today I did contact Dover approach for flight following, it's nice to have the extra eyes watching. North of Dover I picked up a target on ADS-B moving towards crossing my path just a few hundred feet below and climbing. Obviously they also had ADS-B since their tail number was painting on my screen. No radio contact from the Piper PA32R-300 and by the time Dover alerted me I was already starting to climb to avoid any problems. I advised Dover when they called out the traffic that I was climbing for separation. The remainder of the first hop went well and instead of landing on the runway in use (27)n Wilmington gave me a straight in for runway 1. The ramp at FlyAdanced was busy with jets, but they found room for my Sundowner. I ordered fuel to the slots (this will give me a total of forty gallons on board) then headed in to meet Mary. Mary changed into a dress she asked me to bring and I grabbed my sport coat to go with my gray polo and dark tan khakis. It was a short drive to the funeral home, we actually sat outside for ten minutes or so enjoying the air conditioning before walking in. My friend and former coworker, Mark, was just 53 years old. It breaks my heart to see his bride and two handsome boys standing by his side. I've lost three friends in the last two years, two younger and one just a few years older, it really makes me think about life and how short our time is here. Mark, you will be missed, your sense of humor and your laugh always made me smile. Good times when we worked together my friend. It was a quiet ride back to the airport. The FBO tugged 08Romeo out of a hangar where they had parked her. I got Mary's bags loaded and we were soon off for the hold short at the taxiway leaving the ramp. I called Wilmington's tower offering just my tail number. I was scolded and directed to call with full info on call up. The tower guy didn't see me flip him off from inside 08Romeo. I once again contacted him at full speed with full call, advised I was at the Flyadvanced ramp with information victor ready to taxi for departure, VFR to Ocean X-ray Bravo, Ocean City Maryland. The tower responded taxi to runaway one via Alpha, hold short in a monotone voice. 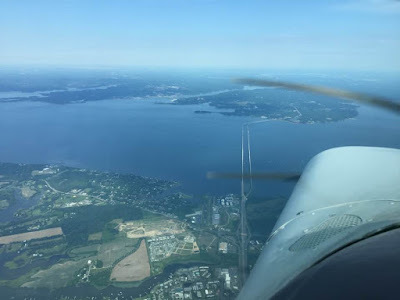 When I flipped over to the tower a young lady offered me a wait time for wake turbulence from the departing jet on runway one or immediate departure on runway three-two. I took three-two and was cleared to cross one, cleared for take off three-two. I climbed out pointing south on a 175 degree heading direct to Ocean City. I like to track the DuPont VOR when heading to or from Wilmington, it helps the tracking skills. The ride was smooth at 3.5 until well south of Dover. I had once again picked up flight following and cancelled once south of Delaware Coastal (KGED). One call out for traffic, a C130 heading north bound passing through our altitude. I never thought of grabbing the camera, it was a perfect view of the 130. 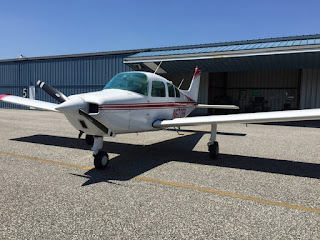 I made my typical calls for Ocean City and after hearing a few calls and some ground chatter I figured out there was a new pilot doing the three rounds of take off and landings. The new pilot did a nice job on the radio and with his landings. I had made a 360 for spacing when I had turned final, number two to land. The maneuver worked out fine and as the Cessna cleared I was on very short final. 08Romeo is tucked in her hangar with clean leading edges and windscreen. Mary and I made a stop at Panera's for lunch and then we headed home. I got to sit and type out my blog and Mary decided to run out to the store for a few things. My Bride has a wicked craving for fettuccini alfredo with chicken...guess what's for dinner? Mary requested a flight to Wilmington, back to our old stomping grounds, but, with an important mission in mind. This mission is to visit our new great nephew; Brennan Michael Lemon, born 12:42 am this morning,7 lb 6 oz, 21 inches. Congratulations Amy and Hannah. Moms and Brennan Michael are doing just fine. I wanted to head north this morning, before the air show TFR kicked in, but weather at Ocean City was reporting between 400 and 600 feet overcast. This low IFR condition held on past my point of no return, not being able to get back to Ocean city prior to the TFR going active. We scrubbed. I watched the weather and now planned a 5pm departure immediately following the air show. Mary was packed and ready to roll and I was once again watching the weather. The winds had picked up at Ocean City, and the winds aloft would have me bucking a 15 knot headwind going north. This is where the measly ten hours of flight time this year starts the wheels turning in my pilot brain. Ocean City is reporting ten miles clear but I'm watching the clouds moving into the area and they are starting to buid. The pilot brain quickly throws out the saying "currency goes in the log book, proficiency keeps you alive." and lets it rattle around in my head a bit. It will be a bumpy ride and honestly I didn't feel like dealing with it. Maybe I just don't have the confidence I had prior to my surgery but I know enough that when it doesn't feel right, don't launch. I decided to ground pound it to Wilmington, two hours each direction. We arrived at flyADVANCED at the Wilmington Airport and quickly secured the rental vehicle they were holding for Mary. We have become good friends with the staff and they said, "that's a surprise you arriving from the land side." I nodded in agreement and added, it doesn't feel right for me either. I did assure them I would be returning by air in 08Romeo to pick up my Bride. I made sure Mary was squared away in her rental and then I pointed the ML320 south for the ride home. I cranked up the hits on my iPod and jammed all the way, making good time. Mary called to let me know she was at the hospital and I sent her a text once I was home. I plan to get some flight time this week while I settle in as a bachelor with our zoo. My bride will be ready to come home in a week and I'm planning to fly in order to pick her up. The OC Air Show flight performances will begin at 12:00 noon on Saturday centered at 16th street on the Boardwalk. The call went out late in the week for a Mid-Atlantic English Springer Spaniel rescue transport. Mary and I discussed jumping on board and quickly signed 08Romeo up for the mission. This mission required an initial pick up in Capon Bridge, West Virginia. After a quick search of the area I found two airports that would work for me; Winchester, Virginia and Martinburg, West Virginia. Both airports fit my requirements, now it will be which ever is easiest for the drop off driver, Kriss. Winchester (KOKV)was the choice so I started on my flight plan. I always want good approaches and runway. Winchester fit the bill so I checked NOTAMS and weather forecast for my planned flight time. Mary and I were up and out of the house by 7:30 and we made my planned departure time of 8:15. I had no luck picking up my clearance with Potomac clearance and delivery so I launched Visual Flight Rules (VFR) and checked in with Patuxent approach on 127.95. Once my position was confirmed I copied my clearance and was on my way. The ride this morning was smooth and clear. I did get one change to my initial filed flight plan and that was direct Baltimore (BAL) VOR which was basically the exact heading towards my first fix, JAYBO. We enjoyed the view of the Chesapeake Bay as we approached the Bay bridges and lost count of all the sailboats north of the bridge. The only thing south was a large tanker looking vessel. Mary and I spotted jet traffic for Baltimore, crossing our flight path (well below)as we passed directly overhead the airport. Once clear of the Baltimore airspace we were turned direct Winchester, this saved some time and fuel. Winchester was busy with traffic coming and going. I announced my position as I approached, working my way across midfield to enter the left downwind for runway three-two. I made a nice landing and taxied towards a very busy ramp. EAA had a young eagles event and there were planes everywhere. The ground crew did an excellent job keeping the flow of traffic moving smoothly. We shut down in front of the FBO and headed inside to find our furry passenger. Mary found Kriss and Cole in the parking lot while I made my way through the crowd to the service desk to order fuel for the flight home. I saw a Mouse (Beechcraft Musketeer) fly in but the tail number didn't register right away. It was Bob P, a fellow BAC member and his plane has to be the cleanest mouse I have ever seen. Mary and I loaded up both dog beds, a bag of paper work and toys along with a container of dog food. The Sundowner was filled. Cole easily slipped through the baggage door and made himself at home on one of his huge fluffy dog beds. Mary climbed aboard and I followed, it was time to get in the air. Once again the ground crew was awesome. I was marshaled away from parking and sent on my way towards runway three-two. I pulled off in the run up area and picked up my IFR clearance for the flight. There was a slight change to my initial plan and I had to search for the fix I was given. I had planned to head north-east to the Martinsburg VOR but that was changed. I advised I am number two and I would call when number one for departure. I quickly zoomed in on the IFR low chart and looked for COGAN, I found nothing. I switched over to the VFR chart thinking it may be a fix listed there for some bizarre reason, nadda. I used the new flight plan feature and clicked on the KOKV bubble and brought up the approach plates and then sent them to the map. First was RNAV 32, sure enough, there was COGAN the final approach fix (FAF)for that approach. I dragged the course line over, made the change and sent it to the Garmin 530W via the flight stream 210 and was ready to go. Clearance delivery gave me my void if not off by time and I advised I was rolling for runway three-two. 08Romeo climbed out and I departed the area on the down wind, making our way to COGAN and checking in with approach. Potomac approach quickly cleared me to 7,000 and I asked if I could have five instead. The response, "sure can if you want to head west but to go east you'll need seven to clear arrivals." I thought, crap, its hot and 08Romeo has a full belly of fuel. I advised approach, west would be nice, but not today, we'll take that seven east bound. Approach laughed and said "I might be able to step you down after clearing the arrival path for Dulles." It was a long slow climb in the heat. It was another smooth ride but you could really see the haze starting to limit the long distance view. I was handed off to multiple approach controllers as we made our way over Baltimore and the Chesapeake Bay. The last Potomac controller turned us direct Ocean City once clear of Baltimore and we rode along listening to all the radio chatter. Cole did get some sleep but he would sit up and look out the window every now and then. Once we started to let down for Ocean City the cool fifty degree temps started to climb. By the time we were at three thousand the temp was closing in on eighty. The jump plane was busy and he had just called two minutes to jumpers as I closed in on short final for runway one-four. There was a Cessna holding short as I crossed the numbers and tried to land long for the taxiway closest to the terminal. I cleared as quick as I could and the Cessna had lined up waiting to launch, I heard his radio call. As we pulled in I could see the anxious foster family at the terminal. Caroline and Alan made their way to the plane but I had to motion for Caroline to stop. I didn't want someone to walk near the prop until I was completely shut down with the master off and keys in my hand. Once out of the plane, greetings were exchanged and then we each had something to carry to their vehicle, Cole did not travel light. We took a few pictures and then said our goodbyes, Cole is in good hands. Mary and I fired up 08Romeo, her mission completed, and taxied her to her hangar. Once tucked away I cleaned the leading edges and Mary cleaned the windscreen. I plugged in the battery minder, repositioned the Ranger pick up and closed the door on the hangar and todays flight. It felt great to fly a mission and a dog rescue made it even better. We ended our day with friends Pam & Ted, who invited us over for dinner. The eats were excellent and the company even better. What a perfect ending to our day. We sat and watched the sunset, having some laughs, a few mermaid lemonades and enjoying the time with best friends. I posted on Facebook about the reverse button missing and ForeFlight responded. The button for reversing the existing flight plan is now located inside the Route Editor window next to the clear button. See attached. They didn't just add it, I missed it when checking out the other new function to access the airport info. Actually, looking back at the pictures I previously posted, one can clearly see the reverse button in its new location. I'm just so observant...not. Reposting this from a Facebook post. ForeFlight keeps making it easier, take a look at this airport info feature from the flight plan screen. You can quickly activate ForeFlight's Plates on Maps feature without leaving the Maps view. 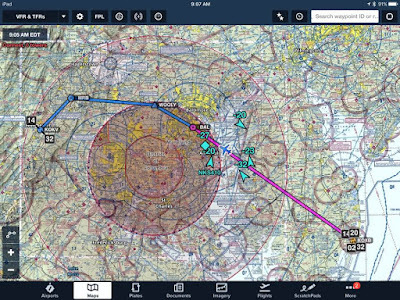 Tap on an airport bubble in the Route Editor and select "show plate" to browse from a list of airport diagrams and approaches. I decided not to post the associated video because it was too short and no sound. I think screen shots from my iPad mini3 are easier to see and follow along. The one change I do not like is the elimination of the reverse button and instead replaced with the Estimated Time of Departure (ETD) button. ETD can be selected or changed when you file, no need to see it here. 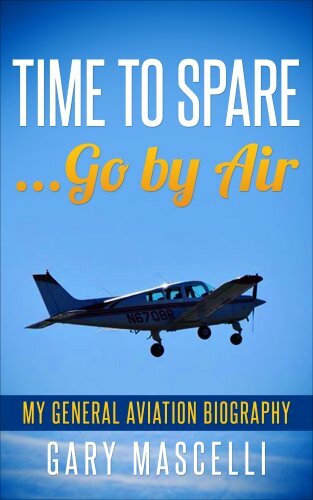 This book represents the stories of my flying. You will read my ramblings, aviation terms and random thoughts along the way. I wanted to share my flying; from joining a flying club, becoming first time airplane owners, our travels, dog rescues, date nights by flight and miscellaneous odd information. It’s the recounting of events as they happened, in the plane and on the ground, while exploring new places and meeting new people, even making new friends along the way. We have only scratched the surface of the places we want to see and explore. So, sit back and enjoy, have a few laughs and maybe by reading about our travels it will motivate you to expand your own travel comfort zone. On one of my flying forum reads I came across a post that presented a navigation issue for the poster. How to enter a fix designated by two different VOR radials. Here is the post. 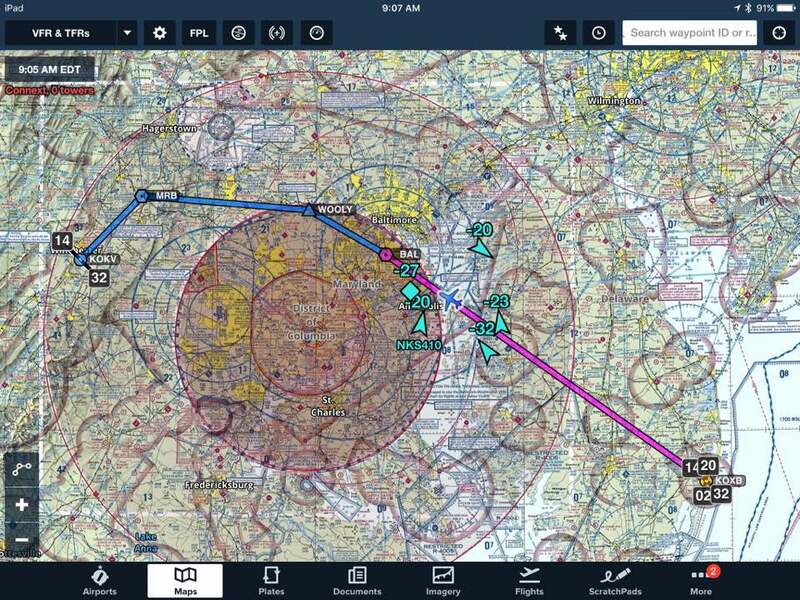 On a PnP trip between KDTO to KOWP (near Tulsa) Saturday, we were provided this routing in our clearance. 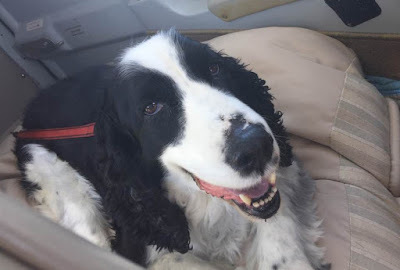 I was along for the ride as dog wrangler and to gain some exposure/experience in this Bonanza. But both myself and the PF (pilot flying) were stumped how to define in the GTN750 equipped on the plane and Foreflight on our iPads the point in lateral space defined by the intersection of those two radials (348° off of the Ranger VOR and 179° off of the Ardmore VOR). This was my first time to be given a clearance such as this. The original poster did note that he worked through the issue and figured it out. I'll add some screen shots. Actually I left off the OKM VOR. For the Garmin GNS series (430/530) it will take a few more steps but it can be done. The training sim is ancient so OWP is not listed, instead the identifier is 0F8. ﻿Select the WPT last screen to create a waypoint. Give the point a user (USR) name, I selected FUZ1. Next toggle through the boxes and fill in the reference waypoint (REF WPT) and radial (RAD) for each point of reference. The distance filled itself in when the two waypoints were added. Once the waypoint info is entered select create, which will be replaced by modify when you click on it. I hope this info helps working with the GNS series a bit easier. I can not give enough praise to the FlightStream 210 that syncs the iPad to my Garmin 530, it's a big time saver when amending routes. 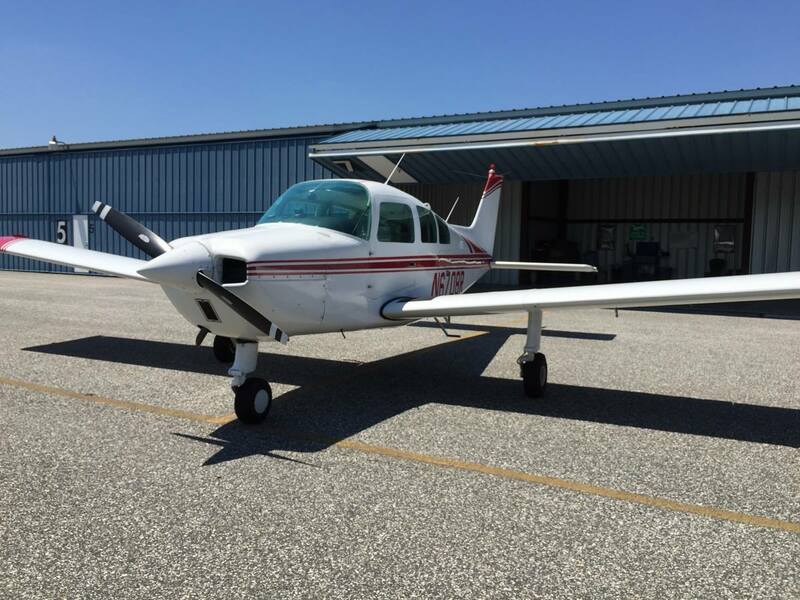 I'm an Instrument Rated Private Pilot with 1280 hours, I love to travel with my Bride and explore new places. Stay tuned for our next chapter in life and flight. All content copyright © 2005 - 2015. Watermark theme. Powered by Blogger.